This is a great bit for training young horses to accept the bit. The shaped sweet iron mouthpiece of these bits will rust and become "sweeter" in the horse's mouth the more they are used. 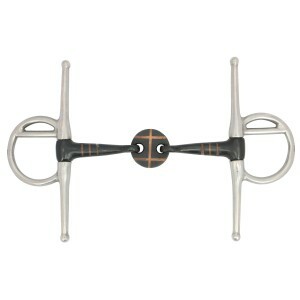 The shaped mouthpieces fit comfortably over the horses tongue while the "sweetness" gives a moist mouth and results in a better aceptance of the bit.